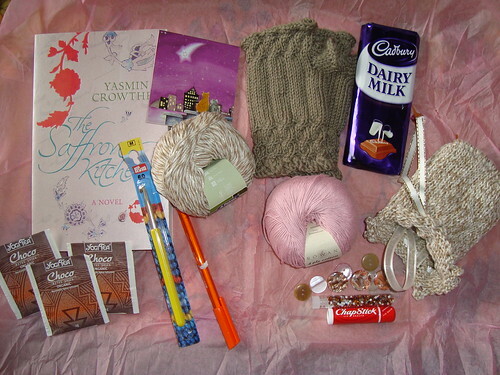 Posted in swaps	by Giulia P.
And this is the treasuer unwrapped! – a book that sounds super interesting. The story is set in Iran and I’m looking forward to reading it! – a big hook, I had been looking for it everywhere here, with no luck! – a cute cat themed block notes… yay! THANK YOU SO MUCH GER!!!! 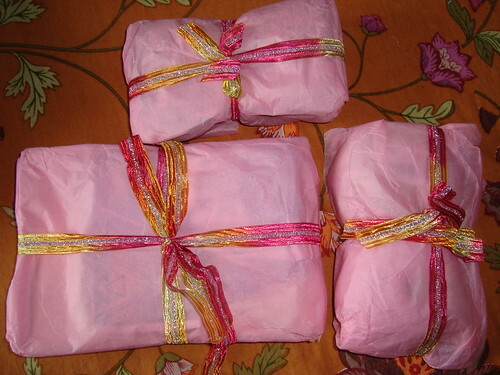 To see the swap I sent her, please click here!